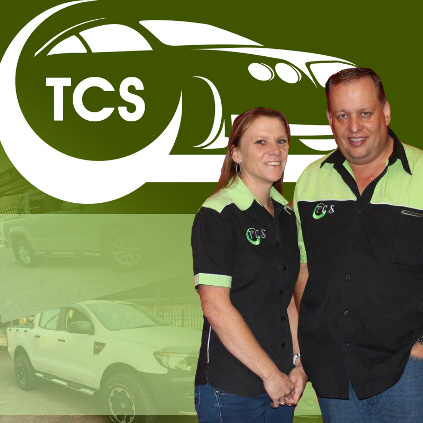 Tiffany Car Sales was established in 2008 by managing director, Fanus Duvenhage, to serve the market with quality used Vehicle and Bakkies and other vehicles. We proudly offer a wide range of Vehicles, single cabs, double cabs, 4×2’s, 4×4’s etc. and we are always in the market to buy clean used bakkies and other vehicles. Customer service is our 1st priority. Tiffany Car Sales is your perfect choice, from affordable to exclusive, we cater for whatever your need! We have established a solid reputation as the Pre-Loved Car Sales company of choice, ensuring you a large variety of quality cars, friendly service, together with a strong commitment to deliver the highest level of service to our customers. Our aim is to make your car purchase experience an easy and pleasurable one. We also buy cars for cash. Tiffany Car Sales has been trading in quality late-model vehicles for over 15 years, bringing a culture of service, a no-nonsense approach to dealing with customers, and a thorough understanding of motoring needs. We’ve weathered the storms of the trade and the economy, and survived well. We conduct business with integrity while providing the best possible quality used vehicle at a “Excellent Deal”. This could be the main reason why Tiffany Car Sales remains a popular choice for South African car buyers countrywide. With our experience and heritage, we’re truly a part of the South African motoring landscape and will continue to be for a long time to come. At Tiffany Car Sales, you are treated as an individual customer with unique needs and wishes. We promise you a great deal, because that’s what you deserve. This means we offer you a quality vehicle efficient finance, and insurance application services and products to maintain the value of your vehicle. Buying a used vehicle from us means buying peace of mind. Quality, Choice, and Value; that’s the Tiffany Car Sales difference. We put each vehicle through a 101 point mechanical and electrical test and ensure that all vehicles are in excellent condition before going on sale. • Our cars are late-model, low mileage, and of the most popular makes and models currently available in the country. • The 101 point check is your quality assurance. Quality of our vehicles extends to all parts of the car: Exterior, interior, mechanical parts, engine, etc., down to the finest detail. • Our cars are late-model, low mileage, and of the most popular makes and models in the country. • Checks for accident history and security matters form part of the peace of mind promise. Choose from the most popular brands and models in the vehicle market countrywide, including VW, Toyota, Ford, Nissan, Chevrolet, Kia, Hyundai, Mercedes, BMW and more. The variety of body types ranges from e.g. sedans, hatchbacks, SUVs and Kombis to Double and Single Cab Bakkies. Finance and insurance services are available. We deal with all the major banks to seek out the best deal for you. Your application is processed while you wait. Our efficient finance and insurance operation ensures that you’re able to view, select, drive and own the vehicle of your choice – all in one day. • Finance arrangements and packages are tailor made for you. • When it comes to trade-ins, we’ll structure a package to include the maximum price advantage for your old vehicle. • You get comprehensive vehicle insurance cover at good premiums. • You get so much more than just a car.